Silver prices have fallen, and some investors are selling. But the silver bull market is not over. Global commodities expert Peter Krauth knows exactly what’s causing the slide and shows readers why this is not the end of the silver boom. Silver bull market investors have watched prices drop more than 20% in less than a week. And several high-profile investors, such as George Soros, John Burbank and Eric Sprott, are taking profits off the table and selling. It has sent silver bulls into a panic. But this isn’t the end of the silver bull market. According to global commodities expert Peter Krauth, who recommended silver to his readers way back when it was selling for $19.40 last August, the silver bull market has a long way to run before it tops out. In fact, Krauth has gone on record saying that silver prices could reach as high as $250 per ounce before the silver bull finally stops running. That’s a far cry from today’s silver prices. And it could mean major gains are in store for those who know how to play the silver bull in coming weeks. ·Silver prices rose a long way in a very short time, making them vulnerable to downward pressure from other catalysts. 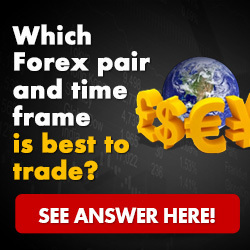 ·The exchange on which silver trades made it tougher for traders by boosting margin requirements several times starting last week. ·And several high-profile investors have reportedly sold silver, exacerbating investor nervousness. The basic fundamentals behind the silver bull market remain the same, according to Krauth. And these three factors won’t be able to keep down silver prices for long. Money has already started flowing back into silver. But there is a way to use the current depressed prices to advantage as futures begin to climb in the silver bull market. Best of all… investors don’t need to buy silver coins from a fly-by-night silver “broker” on the internet or know anything about the silver futures market to take advantage of the silver bull. Investors can find potential profits as the silver bull market steams ahead in one easy “set it and forget it” investment. To find out how to turn the silver price tumble into a profit opportunity for the future, simply read, “The Silver Bull: Despite This Week’s Sell-Off, We See Higher Prices Ahead” to learn where to invest in the silver bull market. (**) Please feel free to repost this story on your website. If you do so, though, please include a link to the original article in Money Morning. Everyday, Money Morning.com supplies its more than 600,000 readers with valuable investment research and analysis from top industry and market expert. We offer unique insights and information on new market trends and unknown companies and industries, while showing our readers the truth behind today’s largest business news stories.